Shakira has left her mark on “The Voice” fans. The award-winning songstress has been recognized with making the program a lot more famous than “American Idol” on Fox. She is set to come back in the show in the fall of 2014. Shakira has been performing since elementary school. She nowadays sings, writes her own songs, dances, choreographs and models. 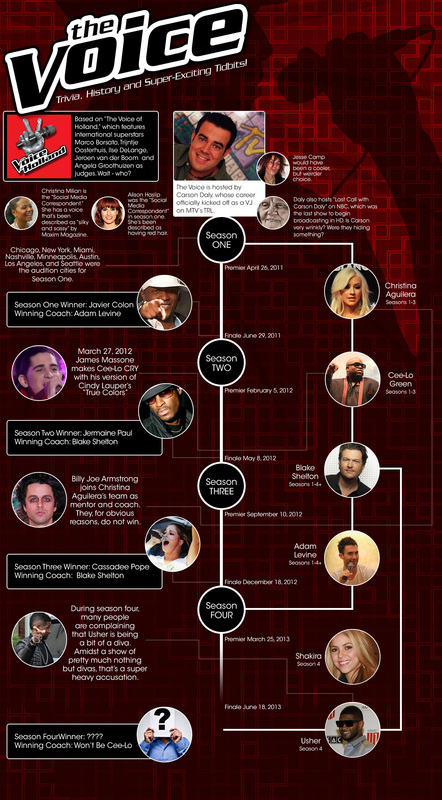 These and other interesting facts about The Voice in this infographic from specialcabledeals.com.